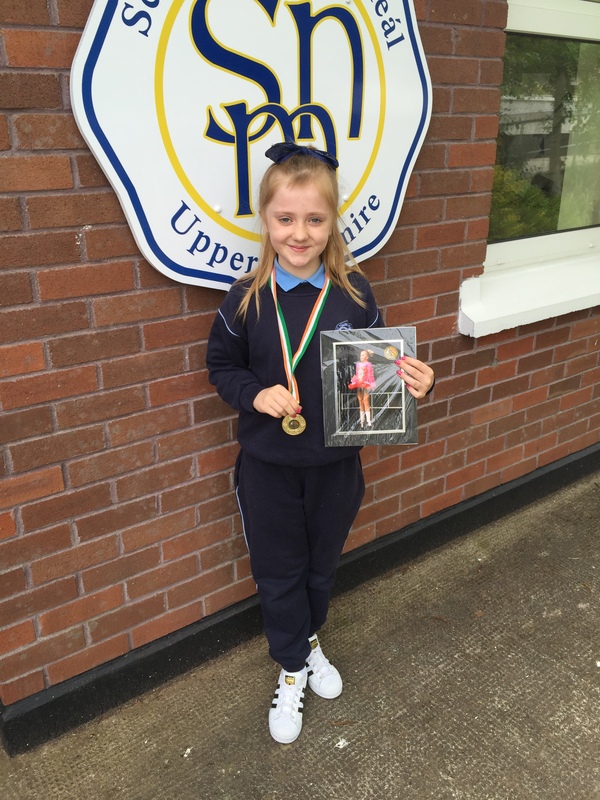 Well done to Olivia in Rang 5 who won the National Championships in Irish Dancing at the weekend. Here he is pictured with her medal and a picture of herself in action. Well done Olivia!